I had an opportunity to participate in the Spring I/O 2015 conference in Barcelona . I was there with some guys from my work. This was a 2-day conference. The event was mainly focused on spring-related products. It was expected Organizers say about it 2 days full of Spring, Groovy, Grails and Cloud. In general, opinions expressed in this post are based on my observations of facts and presentations which I saw. I can say that the atmosphere was good enough. My general feeling is positive. We should take into account the duration, organization, purpose and price in order to evaluate the event. 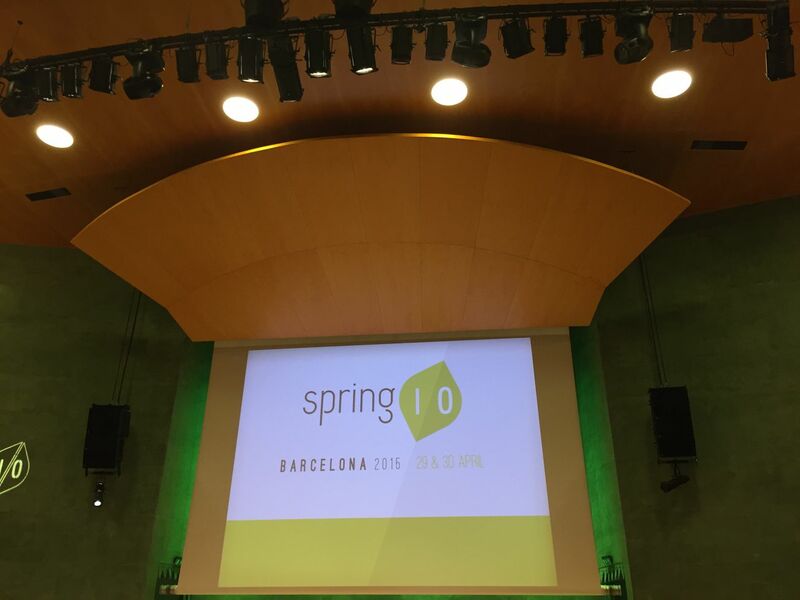 This entry was posted in Conference, Review, Software development, Spring and tagged Barcelona, Conference, Spring, springio15 on May 3, 2015 by Tomek.